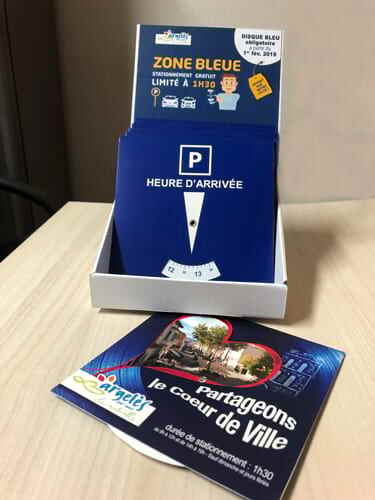 As of Friday 1st February 2019, the town of Argelès sur Mer will be introducing disc parking in 3 areas across the town centre. 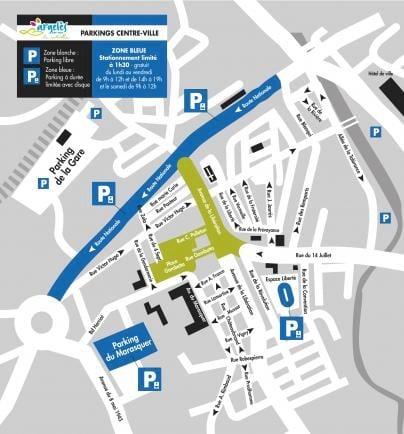 The blue parking disc is available free of charge from the Mairie and local businesses. Disc parking will be introduced on half of the spaces available at parking du Marasquer, half of the spaces in the central espace Liberté and on the route Nationale. Look out for the blue paint! Within these new designated areas, drivers must clearly display their time of arrival by placing the blue parking disc in their windscreens. Between Monday and Friday, cars can be parked for a a maximum of 90 minutes between 9am – 12pm / 2pm – 7pm. The same applies for Saturday mornings. Failure to display a valid blue parking disc can- and likely will- result in a parking fine (PV en français) of 25€, reduced to 15€ if you pay within 72 hours, increased to 75€ if you do not pay within 3 months. Different colours represent different usages and, of course, different rules! Don’t get the parking blues (sorry! ), from 1st Feb pick up and display your free parking disc in any blue zones in Argelès!